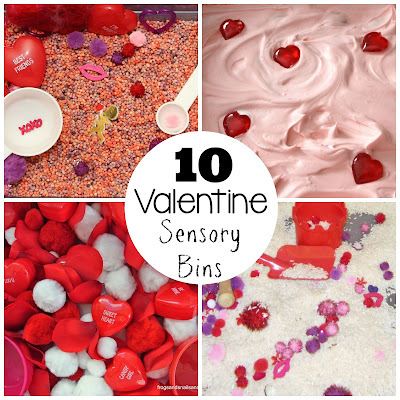 I love the colors of Valentine's Day plus interesting tactile sensory bin fillers really invite kids to dig right in! 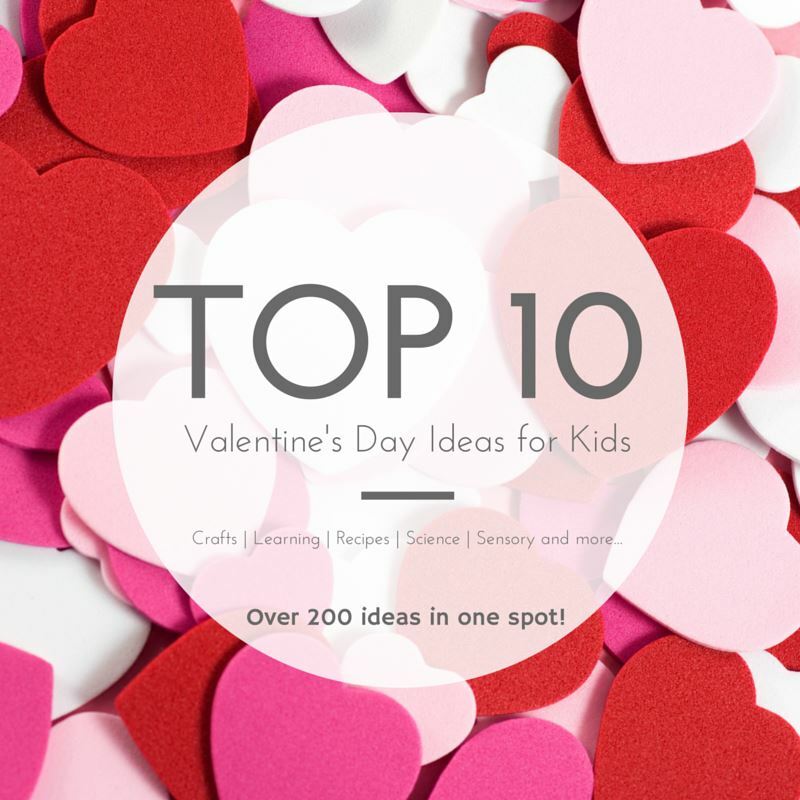 We love have found ten of our absolute favorite Valentine's Day themed sensory table ideas. Which one will you try first? 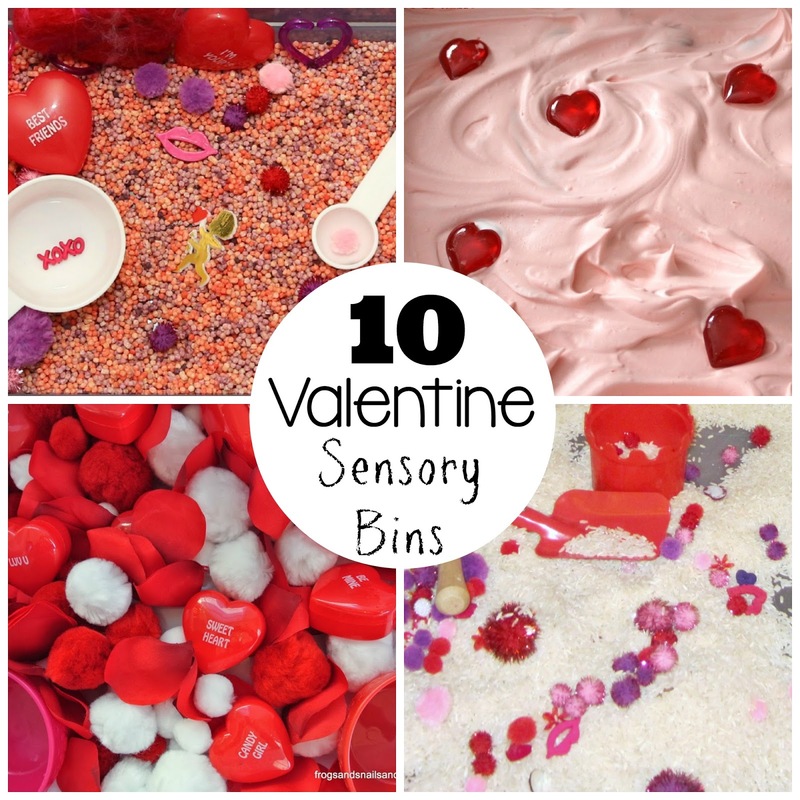 This colorful Valentine's Day Sensory Bin contains our favorite and most creative sensory table filler! 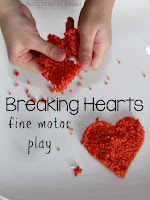 As a bonus, you can also create these Sensory Hearts for your kids to break first, too! Simple Fun for Kids created a Feathers Sensory Bin for the holiday! This would be ideal for quiet time exploration and kids can even put their feet in if they are comfortable. 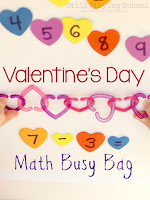 Your preschoolers will love counting and adding with this Valentine's Day Math Sensory Bin from Where Imagination Grows! Water beads are always irresistible! 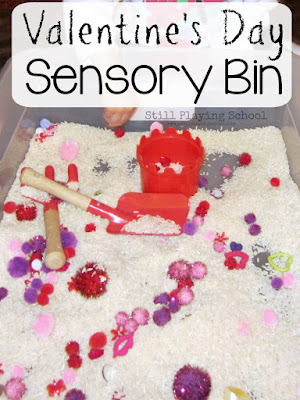 It doesn't get any simpler than a Cake Mix Sensory Bin (which smells great, too)! Just add a few utensils and your kids will be in scented heaven. The soft textures in this Valentine's Day Sensory Bin by Frogs, Snails, and Puppy Dog Tails are so comfy you feel surrounded by love. Kids will love to compare the materials. 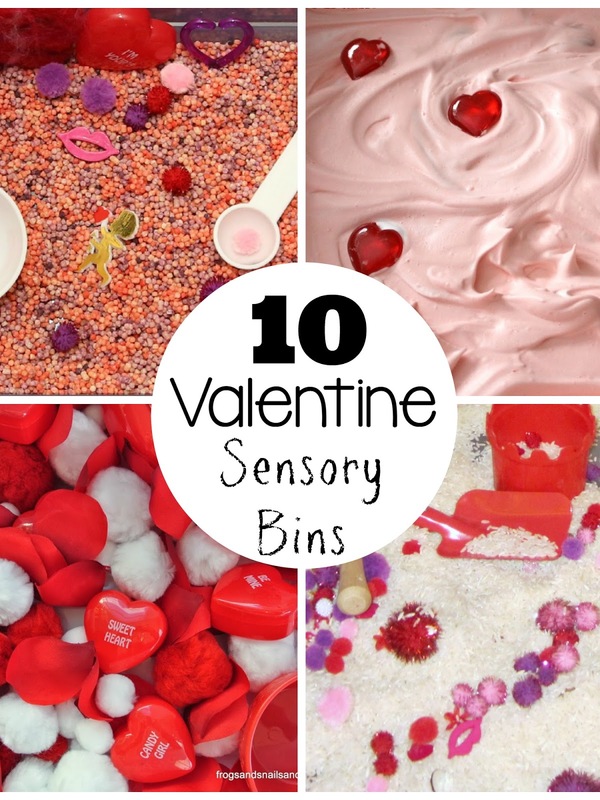 One of our very first posts was an Edible Valentine's Day Sensory Bin for your littlest loves! (Look how young our daughter was there!) It was a mess but it was worth it creating priceless memories. 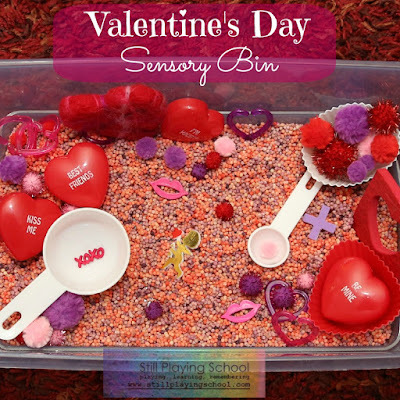 I just love how Fun at Home with Kids made hearts in their Bean Sensory Bin. How creative! Plain rice makes the perfect background for all of your red, pink, and purple valentines in this Valentine's Day Sensory Bin! 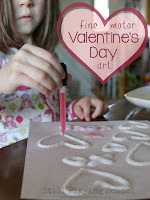 House of Burke invites kids to find the hearts in their Shaving Cream Valentine's Day Sensory Bin!